Fashionable burkini swimwear are becoming popular again, now that summer is fast approaching. Summer is a great time for fashion because you get to wear and flaunt your new swimwear. 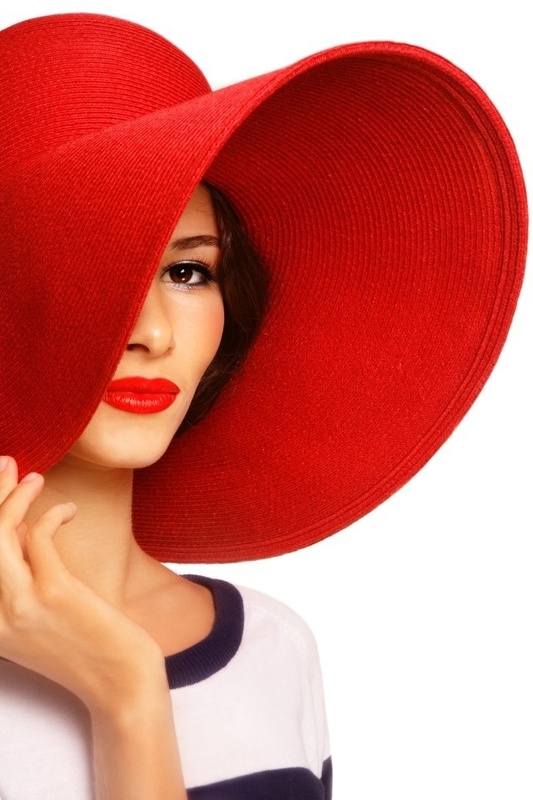 It’s also the time to bring out your brightly-colored accessories that complement the warmth of the summer sun. Best of all, you get to travel to beautiful beaches where you can frolic in the waves and bury your feet in the soft sand. By now, you must be brimming with excitement for your next beach trip! But before you head out, check out this collection of fashionable burkini swimwear for your new summer collection. There are different types of burkinis for different personalities. Are you a free spirit who loves to commune with nature and different cultures? Then this Egyptian Sunkissed Burkini Set would be perfect for you. Its white shirt features an intricate geometric pattern in yellow and blue embroidered on the front. The design is reflective of women who have a fun and adventurous nature. Tropical floral prints and bright colors never go out of style. They look good any time of year, especially during summer. 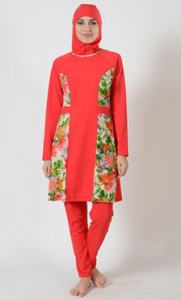 Wearing this Tropical Print Tie Waist Burkini in Tomato will make you look fresh and radiant. The floral print accent on the sides, the flared silhouette, and fitted skinny leg pants give you that unabashedly feminine look. If you like floral prints but prefer wearing darker hues, then you can go for this Tropic Print Tie Waist Burkini in Midnight Blue instead. This set has elegant floral accents on the sleeves, the upper part of its front and back and waist ribbon. The top comes in a straight silhouette style and with fitted skinny leg pants. 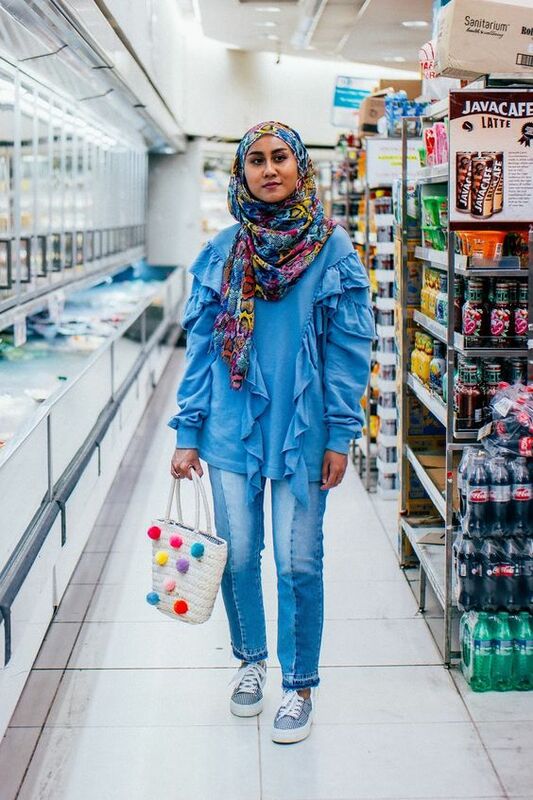 This burkini is also perfect for femmes who are fond of the ocean and marine life. 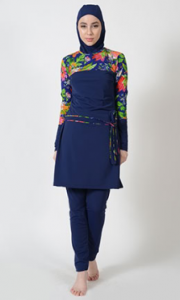 The Costa Rica Print Tie Waist Burkini is similar to the burkini above. The only difference is that it comes in light grey instead of midnight blue. This style fuses modern neutral colors with a classic floral print to create a totally unique style. This classy Gold Embroidered Burkini is great for fashionistas who love making the world their runway. This burkini’s pièce de résistance is the ornate design in gold fabric stitched onto its chest. The style comes in black or purple. If you like elegant styles but prefer less bold colors than black, then you could go for this creamsicle embroidered burkini swimsuit. The white top features a stunning design stitched in creamsicle fabric. 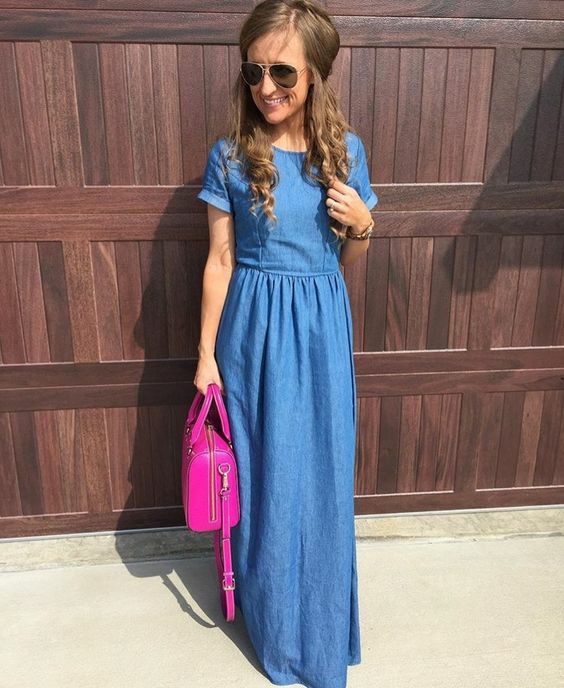 This style is great for fashionistas who would rather keep themselves off-the-radar. 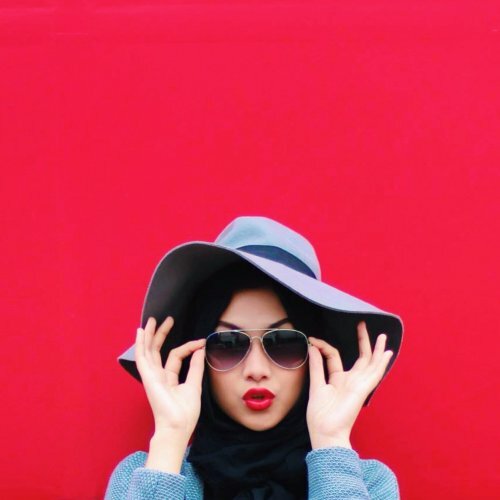 Check back with us soon for more blog articles on burkinis.